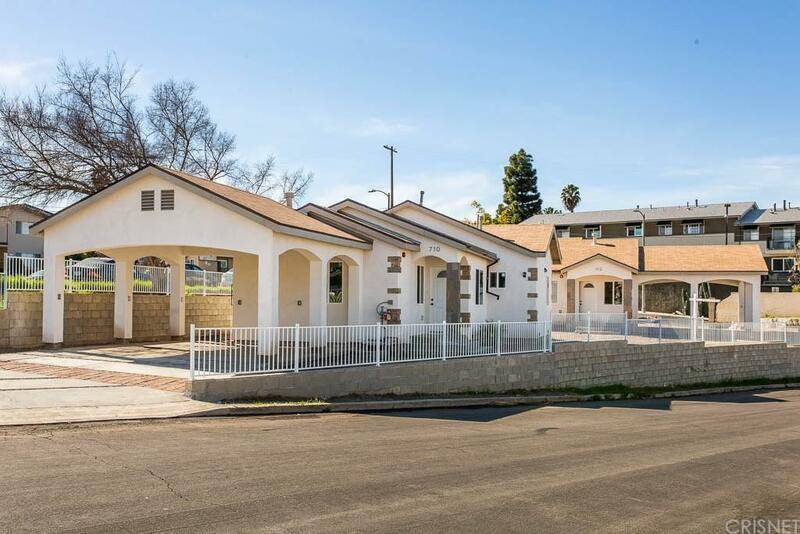 This Beautiful Duplex is Brand New 2019 Construction and is located in a great Los Angeles neighborhood, of Athens. 710 Laconia Place has 933 square feet of living space, and 712 Laconia has 975 square feet. Here are a few of both units features: Flowing open concept floor plans with complementary laminate flooring. Spacious living rooms A cook's kitchen with abundant cabinets, Quarts counters, durable dual basin stainless steel sink, and contemporary ventilation hood. 3 Bedrooms Master suite with walk-in closet, and private bathroom. A total of 2 bathrooms. Functionally located laundry. Energy Efficient dual pane windows to keep your utility bills low and interior quiet. Tank-less water heaters, Fire Sprinkler system, Water meter for each unit. Double Carport with electric car charger.